When someone, anyone, comes to believe in Jesus Christ things change. Believers seek to know Jesus on a deeper level. We want to experience all that Jesus has promised us. He promised His presence with us. He promised His care for us. He promised us we would never be alone either. Life is tough, but it's even tougher when you try to go it alone. Jesus makes a way for us to experience life together. It's called the church. The church, however, has not always been faithful to express His heart and life. In fact, the church has at times become stale and stuck in traditions that have no impact on our lives. Even when that happens, God is still at work. His Holy Spirit stirs the hearts and minds of true believers to always move toward authentic relationship with Him and with other believers and even with persons who don't yet believe. That's how the organic communities began. 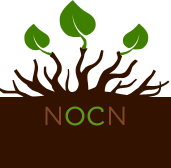 Organic communities are a natural gathering of believers in nearly any place at nearly any time of the day, not just Sundays at 11am. The Bible says that wherever two or three believers gather, He is there with them. In the organic communities, we've found that to be true. Gathering together in homes, or coffee shops, or even places of work is as natural as breathing! It is experiencing life together. Gathering together helps us to grow, too. Jesus told us to go in to the whole world and make "disciples" or "followers." That happens when we meet together. We try to meet at places and times that are natural to the ebb and flow of life. Places where we meet new people. Places where we can be "discipled" and make "disciples." We grow closer to Jesus. We become more like Jesus. And we introduce this amazing life to others who don't yet know the incredible peace that comes with a relationship to Jesus. It's a natural thing. Believers disciple believers. Starting a community is easy. You can meet in a mall to talk about Jesus. You can gather in someone's home to worship and talk about Jesus. Just pick a place and meet with another believer and talk about Jesus. It's the natural thing...it's the organic thing to do.